Lived in Strilche village (Horodenkivsky district, Ivano-Frankivsk region). The founder and the director of the Golden Fleece Tourist Club. Active public and community leader: was the head of the District Branch of Svoboda Party, deputy of Horodenkivsky District Council. 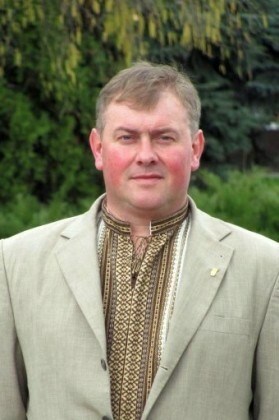 On Maidan, Serhiy was a member of Ivano-Frankivsk self-defense group of the Svoboda Party. On February 18, he was deadly injured with an exploding grenade. Survived by his wife and two children.